Convert an ordinary bike into a cargo- and kid-hauling powerhouse. Will a Leap kit work on your bike? Be sure to check out the Leap Compatibility Guide to see! 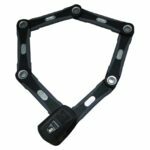 The Roller acts as a chain tensioner for better shifting and less chain slap, and a necessary addition when using a KickBack 3. This chain extension is the perfect length for the Leap conversion. Fits bikes with a 10 speed cassette. 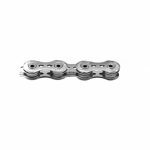 This chain extension is the perfect length for the Leap conversion. Fits bikes with a 9 speed cassette. This chain extension is the perfect length for the Leap conversion. Fits bikes with an 7 or 8 speed cassette. I love having an Xtracycle as my daily vehicle. It lets me ride bikes anywhere I go, and be able to carry as much (including my kids) as if I were in a car. It saves me money on gas, parking, maintenance, while helping me stay healthy, and spend time with my kids in a more enjoyable way than driving. I LOVE my free radical! Not only am I the inspiring jealousy in other parents and neighbors. But my kids LOVE it! My daughter insists on going to school on this bike whenever the weather is even a little nice. Cruising along on this transport of delight is one of the easiest ways to make a day fabulous! Picnics, dressing it up like a carriage or viking long ship or even a dragon. And people at my kids school know its spring when the see the extracycle. Added a Free Radical to an old mountain bike, wow, commute to work, drop off a tweeter at school, bring home (at different times) 6 bags of groceries, a case of wine and a case of beer, 2 propane tanks, 220 pounds of ice (not recommended). Took my wife out to dinner.The Free Radical has convinced me that a properly kitted cargo bike, and now an electrified one, can begin to seriously displace short haul auto trips, which is where most of use crank up our miles. Bikes are finally a real answer, a serious tool that is also healthy and a blast. Xtracycle folks figured it out. Thanks! In 2006, I was looking for panniers. 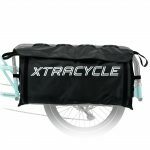 I was tired of having to take my car places because I had to carry X, Y, or Z.I found the Xtracycle site from comments on a bicycle forum. I emailed a friend, “Fortunately it’s too expensive to be a temptation.” The website made me think that this was a strange bicycle novelty that Californians with Too Much Money bought to look cool to their friends.It was February, though, and quiet at work, so I ended up wandering around the website and tripping over enough information to inquire of my Bicycle Guru at my local bike shop: “Have you ever heard of an Xtracycle?” (web design has improved since then, by the way :))He’d heard of it and when I asked, “would you install it?” he got that look mechanics get when they’ll get to play… and I realized that I would be the Envy of All Urbana, Illinois…. I ordered the thing, and *really* hoped I wouldn’t regret it. I dropped off the Giant and rode home on my Trek. As I cruised towards my driveway, I thought I must be hallucinating. There was an Xtracycle four blocks ahead (going too fast to catch).So, I wasn’t the first. I suspect Urbana/Champaign has a much higher Xtracycles Per Capita ratio than even Portland :)They really do haul the daily stuff of life well, and the thing still feels like a bicycle. It looks *just* enough different for drivers to give me just a little more room passing (especially if I”m sporting a flash flag).The thing took on a life of its own. I remember lying in bed the morning after near-tornadoes, with winds still 20-30 mph (it’s the plains, people). I thought, “I should take the car today.” The Xtracycle informed me telepathically, from the garage, that it wanted to ride. “But there might be debris in the road!””Yes, and which will be easier to get around it? A *car??? * or me?? ?”The Xtracycle won all the arguments presented and I got on it — and sure enough, in the middle of the little residential road a humongous square-mouthed plastic garbage can was flopping and floundering, causing traffic consternation.I pulled to the side of the road to ameliorate just as a school bus approached from the opposite direction. The driver stopped in front of the distressed container and put on its “don’t go by!” flashers, and I went out into the road and hoisted it to sanctuary to the accolades of the drivers.My car became my brother’s taxi in 2008. It goes on GITAP with me — yes, it can do a week of 40-100 miles per day. Yes, boo hoo, it tends to fall over easily — I have to order one of them heavy duty kickstands. Yes, it handles a hub generator nicely and when I illuminate the Christmas tree on the back it gets applause. I end up loaning it out with the bike blender in Earth Week.Oh, and it can be adapted to haul a trailer if you end up winning one online, too. What I love about riding any bicycle is the sense of freedom I have. The Xtracycle only expands that – there are no limitations on what I can do or carry. everyday I appreciate my xtracycle…and everyday folks admire my swagger. the best ever mod to a bike – from hauling my kids when they were young to hauling home a sweet piece of abandoned furniture – xtra is my superpower!! 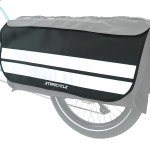 Our Xtracycle longtail bike is the station wagon we don’t have. It’s lugged our first kid and our groceries all around town. It’s been on cycling tourist trips, loaded down with luggage – once with a kid on deck and a kid pulled behind with a Chariot! I just hauled it out today for our first post-winter commute to school (6km) and work, and was reminded again of how much I love it. Soon our Bobike Mini will be on the front and it will be a two-kid wheeling machine, garnering admiration everywhere we ride. I’ll start with my overall experience then the story.I’ve had my FreeRad for 15+ years. in my youth, I’ve beat buddies up mountains with more gear, gone camping long distance, hauled more stuff then you can fit in a Pinto and had more passengers (grown ups) than you can imagine.currently, I have to pea pods on mine and have recently purchased a second one for my wife.I have left speed and holding the most if I can in the past and traded that for seeing my children smile, if there arms in the air and scream out of pure joy. I’ve also carried tools needed to teach a bicycle education class to SF from the East Bay via Bart. Elevators were a must!In the future, hopefully not too near, I can see myself with the new version with electric assist. Bosch makes great stuff and reading about the new one almost makes me Look forward to getting old.The fact that someone with practically any bicycle can take this and increased capacity with the same number of wheels is great. in my mind this attachment is worthy of a nobel peace prize.Lastly, this has saved my life in the past. I was riding on a busy street as I often did. A car behind me apparently didn’t like me or my bicycle or the fact that I was on the road with two wheels. They hit me. If it weren’t for the frame that guards the rear wheel, they would have tacoed it and I would have been tacoed too. Instead it was almost like bumper cars and I pulled off the road and kept going. The FreeRadical helped me take a frame that had been gathering dust in my garage and turn it into a workhorse. Since bolting it on I’ve hauled lumber, chicken feed, groceries, additional bikes, Costco goods and kids all over town (and occasionally through the woods). I built a custom wooden bike seat which has resulted in not only many happy miles but innumerable conversations with admirers. Above all else my favorite thing about the FreeRadical has been showing my kids as well as countless others what can be done by bike. Relax… take the scenic route! Thanks to a FreeRadical extension many years ago, my only vehicle is my 20+ year old mountain bike. It blew the roof off what I can do by bicycle. I use it to haul friends, family, building materials, tools, gleaned fruit, trees, and ever growing bliss. I always reach the destination, but now the primary glory is the human-powered journey. I have finally found my “Happy Place”! I’ve had my ‘mama bike’, FreeRadical, for a 1 year & 3 months. We are a bikey family and have tried many kid hauling bike products, but biking just didn’t feel right to me… until I found the FreeRadical. With this set up on my bike I finally got my WEEEE back! This bike has given me the freedom and excitement that I love about biking. It allows me to bike around town with my two kiddos (2 & 4 yrs old); parks, pubs, garden, preschool etc., do larger grocery shopping runs on the bike, and on our longer rides I just bring the kids’ bikes along and they hop back on with me when they need a rest. I’m very confident biking with my kids, the accessories available for safety; Hooptie bars and Yepp Maxi seat, and for comfort; Magic Carpet cushion, are definitely a plus with my riders. The giant FreeLoader Cargo Bags are the best allowing me to bring; toys, snacks, rain gear, bikes, and just about everything- except the kitchen sink (although it would fit!). My husband had no problems with the instillation, it was very straight forward. One of my favorite memories, so far, with the FreeRadical is a camping trip we took last spring, just the four of us on the road and on the ferry, all on our bikes! Thank you ExtraCycle for the ‘freedom cycle’ FreeRadical! Ride On! I transport kids, groceries, table saw plus chop saw, small extension ladder, two by tens, three giant Santa Claus bags of boxed ceramic products at a time–of course, not all of these at once–with poise and pride on my free-radical extended 1985 mt bike with wide loaders and long loader always in place. I like watermelon. 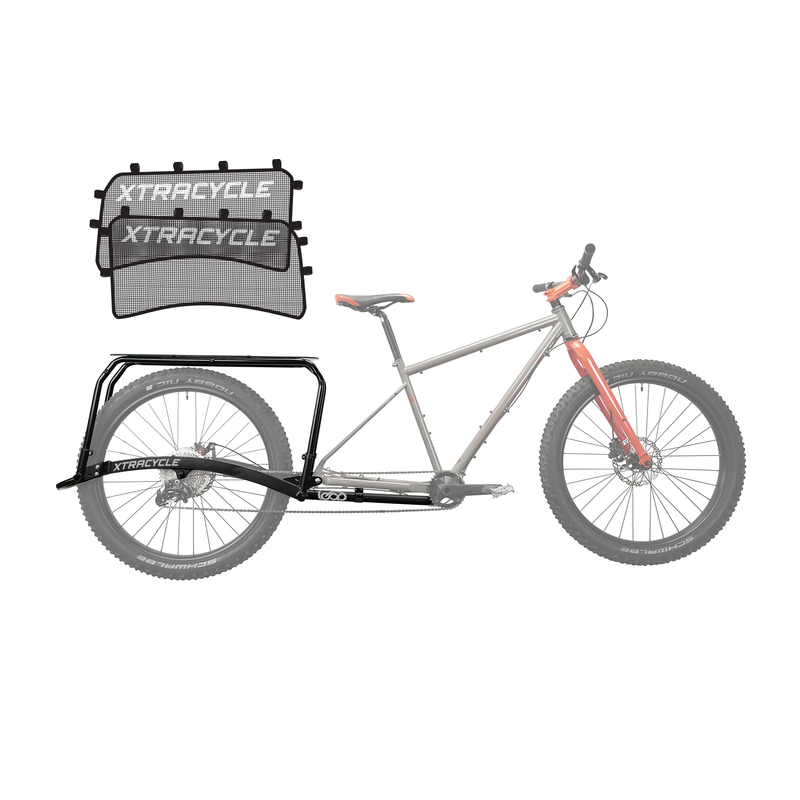 But I could never carry a water melon in my bike panniers or my bike rack.Then I found the xtracycle. That was in 2007. I bought a FreeRadical kit and installed it on my trusty Miyata 1000. I have never looked back. I even got a second FreeRadical a few years later.When I moved to Europe two years ago, I left my bicycles in Canada but brought my xtracycles with me. I found new bicycles and installed the FreeRadicals on them. They have served me so well for all those years. I carry groceries and my kids. I get looks of amazement at the store every time I strap a case of Budvar Budweiser to the back of my bike.Thank you xtracycle. I purchased a free radical as a utility bike for our collegiate cycling club. Our members who mostly live on or near campus didn’t need to own a car to get groceries. Awesome and pretty bomb proof. I am able to ride year round thanks to my Xtracycle!. It was useful, made dragging stuff home from lowes pretty easy, but the length led to it being locked up outside my house, which led to it being stolen. the part where the front of the freeradical attaches to the bike frame, that needs to be improved.But after it was stolen I built a new cargo bike, using another yuba product the bread basket to make a 31lb cycle-truck, Schwinn isn’t going to beat it. I have had my Xtracycle for over a decade now. It’s been used on 2 frames and has morphed as my family has. Before kids it was mainly used as a hauler to commute school supplies and lacrosse gear to practice. Since kids, it’s become a touring show on 2 wheels. First came the Peapod for my first little guy. Then the Stoker bar , Magic Carpet, and running boards. With 2 little guys (4,6) often times the older sits in front of the Peapod riding with his brother. Other times we have the Chariot in tow carrying even more gear and maybe another kid or 2.The Xtracycle FreeRadical has been the most enjoyable outdoor activity to bond our family and the love of riding. We take it everywhere- Jazz in the Park, soccer games, festivals, mountain rides, camping, picnics, geocaching. All in a day’s fun. Thank you Xtracycle, for helping myself, my wife, and our little ones to see how much fun ditching our truck can be! My extracycle is fundamental to my life. I could not live without it. I have the original Free Radical and I use it everyday, in every condition and it has never, ever failed. I cannot see how you can improve it. Xtracycle’s FreeRadical has thought so far outside the box, they have reinvented freedom and power on a bike. I use to have a bike and a van to get my self and equipment around , now I have a Xtracycle. I use it for kayaking, glamping, working, shopping, dates and bike raves. It hauls everything I can put on it and most importantly , it’s loads of fun. I really dig how the FreeRadical kit has made it possible to enjoy time with my daughter on the bike. It is simply the coolest thing in the world to ride with your kid. The xtracycle free radical was perfect for converting my basic hardball mtn bike into an extended bike with a platform for my kids to sit on. It’s the best for taking young kids here and there, and using the car less often. It’s super solid and I’ve never had any problems with it for about 2 years that I’ve had it. I recommend it to anyone that asks me about it. I’ve had an Xtracycle for several years now and it has changed my bicycling lifestyle… I enjoy going to the hardware, grocery and any place that I need to carry a load more than ever. 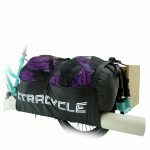 The Xtracycle ,great concept and design that carries amazing loads. Well thought out and reliable design with the coolest accessories. With over 14 years of use and over 20,000 miles including one fully covered warranty replacement, my Xtracycle Freeradical has been the best item I’ve ever purchased. In 2001 it transformed my life and allowed me to things that I used a car for before. In 2015 it helps me along with an electric assist carry my 2 precious children and much more. Thanks for a great idea, making it into a great product and standing behind it the way a great company should… with integrity, passion and fun. I’m looking forward to seeing the next generation…Megarack. I ride my Breezer with xtra cycle free radical as my sole commuter and pick up my daughter from preschool on the way home. It’s fun riding “our” bike home together at the end of the day. There’s plenty of room for all our stuff, even occasionally my work computer or big art projects. The free radical turned my single commuter into a comfortable, versatile and reliable family commuter vehicle! I love what the ExtraCycle FreeRadical with wide loaders and side bar did for my P-38 Lightning Recumbent. I use it in Germany and France to ride along the rivers (Main, Rhein, Donau (Danube) and others), up to a 17 day long trip so far being our longest trip. I carry my, my wife’s and sometimes our guide’s luggage on the racks, up to approximately 60 pounds sometimes using two generic ski boot bags on the back. 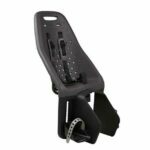 You don’t have to worry too much about the weight, because the frame is very sturdy, but you do need to keep the heavy things as low as possible for the best handling due to the lower Center of Gravity with a recumbent. We generally ride 25-45 miles a day, but could do more if we feel like it. We start looking for a place to stay and park the luggage at about 4 to 5 pm if we haven’t arranged anything beforehand. The wide loaders caught on the ground and kept me from crashing over in some skid scenarios that I experienced. An upright bike rider would have experienced a dangerous fall in that same scenario. You definitely want a mountain bike front crankset with a 22 tooth small sprocket when you add the load capacity afforded by the Extracycle. With the longer wheelbase, this bike is so stable and comfortable that you can comfortably ride it for ten hours a day and I have to add that you will sleep well that night after dinner! Hey there, Thomas! As a FreeRad Leap owner myself, I can say these original FreeRad reviews totally reflect how amazing the Leap is! Since moving over to our new site, I think finding where to leave reviews isn’t as intuitive thus the lower number of Leap reviews. That said, from experience, I’d say the Leap is everything the FreeRad was, just improved to be stronger and more rigid. The original FreeRad kit had round tubing so it would flex under weight. The newer Leap has square tubing and when properly installed, it makes your converted bike feel like a complete frame, like our EdgeRunner bikes, as opposed to a bike with a conversion kit on it. I hope that helps, Thomas! Feel free to email us with any other questions so we can help you see if a Leap will meet your needs. Does the Leap Kit fit on mountain bikes with 27.5″ wheels? I’m a lightweight rider-under 150 lbs., and am wondering if a steel frame is preferable for this kit. Would an aluminum MTB frame be just as servicable? 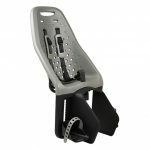 Hi Jim, the Leap is designed to fit on either steel or aluminum frames. It will work well with either as it uses multiple points of frame contact to help distribute the weight on the frame. Will this system work on a Specialized Vita? Hi Christine! It appears it will work on the Specialized Vita, however make sure the model of Vita you choose has disc brakes as the Leap frame is designed for Disc brake use. If it does use a standard rim brake, you will need to purchase a new rear wheel and disc brake caliper. A local bike should be able to help you determine this as well. I’m looking at a Marin Muirwoods bike for the conversion. Do you see any issues for this conversion? My daughter is 3 years old and I have a relatively short and flat commute. Also what kind of kick stand would work with the leap kit? Hi Mark! We see no problem with fitting the Leap to a Marin Muirwoods bike. It should be an awesome combination for you and your daughter. For a kickstand, we always recommend our stable and strong, KickBack 3. 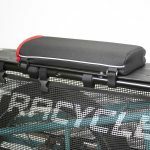 It is designed to have a wide stance to help with loading and unloading a Leap converted bike and is super strong to hold the weight as well. One thing that few people notice is how the extended rear wheel changes the way the bike rides. I find my long bike to be much more stable, especially in slick conditions. I recently took m long bike camping, and even LOADED with camping gear, the rear wheel was extremely stable on loose gravel fire roads. In the rain, frost (we don’t get snow where I live, but I assume it’s the same), the bike is just much more stable. Also, by keeping the load on the back, I’ll carry HUGE amounts of stuff (a case of wine on one side, a week’s worth of groceries on the other), and besides having to push a little harder, the bike pretty much handles the same. This is not the case or those front-loading cargo bikes. With the weight up front, a heavy bike will throw you around a ton. A friend of mine called it the “down low gravity mojo.” Long bikes are more stable. So while the LEAP makes the bike more useful, it also makes it more fun to ride. I was down about the expensive cost of cargo bikes. I was needing a project, and the conversion of one of our very nice, vintage mountain bikes stored in the garage with a free rad setup fit the bill nicely. Also, it’s been pretty cool getting to know more about Xtracycle’s backstory and product evolution — for sure, it’s great loading tons of stuff for local trips and really flexible and versatile. GO X-C!!! I’m very happy to use my free radical and now I wanna electrify my Bike! I’m happy to ride with my xtracycle cause it’s usefull and i fell free when i go through the Brussels’streets with. I like very much the kit XTRACYCLE, i used for 1 year and is really wonderful, now i need the U tubes and the Sidecar. Was suprised to discover the free rad comfortably carries a full size builders wheelbarrow. Just flip it upside down onto the deck with handles towards rider. The things I have carried on this bike are absolutely mind blowing.Show me the leap and I will cross the chasm. The FreeRadical came into my world three years ago and my life is forever changed. As a kid growing up my bicycle was transport freedom. Throughout the years bikes have provided me recreation and transportation. Adopting the FreeRadical changed what I thought was possible with a bicycle. This last year I dropped about seven thousand car miles having replaced them with thousands of miles on my Xtracycle cargo bike. I ride my kid to school throughout the New England winter and complete every errand conceivable year round. Going to the grocery store for bags and possibly coolers on a hot day is painless and plenty of fun. I am healthier than I’ve been in years and never go to the gym! There’s little I cannot carry on this Xtracycle cargo bike and I look forward to my next ride tomorrow. The Xtracycle free radical is revolutionary. It is unlike any product I’d ever used, and it performed well. That being said, the rear derailleur was always extremely touchy (having performed flawlessly when mounted on the original bicycle), and the disc brake caliper required alignment every couple weeks (again, having performed flawlessly on the original bicycle). As a fairly early adopter of the free radical, I was told by the guys that quality control was an issue they were fighting, and as such, I did my best to adapt. All in all, college and work commutes have been greatly improved by the product and I look forward to trying the updated version in the future. Love it? I’m writing a book “For the love of Xtracycle” It’s my home away from home! I’ve traveled for much of the past 5 years with my long tailed bike. I went from age 55 to forever young with this system that allows me to go where i want to go, the way i want to go, with cargo, including what ever i might need along my way. I have had my bike for over 20 years – it is a Specialized Globe, one of the first “commuter” bikes on the market. I rode it a loved it for years. Then it sat in storage in LA but when we moved back to NorCal it came with us and was soon set up with an Xtracycle – it gave my “old bike” new life. My three year old got to ride with me and we had a blast.We just had our third child and I really pushed the envelope and had my husband secure an infant car seat onto my Xtracycle. It’s crazy but I had to ride again and everyone who sees it wants to know how I did it.My cargo bike has grown with me andmy family over the years and now I am dreaming of adding a motor so I can carry more and go farther. i am looking forward to many more years of a adventures with my Xtracycle! Whenever I need to move furniture, ladders, or large loads, this is my go-to bike. With lots of room and flexible storage options, it sure beats the bus. I’m thinking about the Edgerunner, for even more stability, and speed up the hills! I wasn’t totally convinced I needed an Xtracycle since we were pretty much getting our kids and groceries around town with bike trailers and kiddie seats, but getting one opened up a whole new world of transportation for the whole family. There are a lot of places in our city that we want to go that are about 1-2 miles away. Just a little too far for walking, and how would you get your stuff home on foot anyway? The Xtracycle is the perfect answer.We carry our kids to and from school. We carry bags of mulch home from the hardware store. We carry home a full cart of groceries and two kids from the grocery store. We carry home pizza for 50 from the pie shop. Soon it becomes a challenge to see what’s the strangest stuff or craziest configuration we can bring home. We take my daughter out and her legs get tired so we attach her cycle to the Xtracycle and bring her home trailing the kid bike. We bring home the yearly Christmas tree. We bring home 12 foot pieces of sprinkler pipe. One of us got a flat tire on the regular commute bike, and the other brought the Xtracycle to the rescue – trail the bike with the flat and carry the extra person home sitting on the back. It seems like there’s little the Xtracycle can’t do.We’ve ridden other types of cargo bikes, such as the dutch style, and those just don’t feel the same. It seems like they just don’t go as fast as the two wheel cargo bike. And everywhere we go people are always asking us about our crazy bike and we are happy to advertise what it is, and where to get it, and tell them how it’s worth every penny. About one a half years ago we bought a used Xtracycle Radish and I cannot live without it ever since. First I used the Radish to bring our two boys (then 3 and 5 years old) to their preschool. No more buckling up in the trailer, no more fights in the trailer, no more “I don’t have enough space”. The only thing I had to teach them is not too wiggle too much and not to get on or off without my consent. Now I use the Radish to bring the boys to school every day. And although they meanwhile ride their own bikes, my bike, the Radish, is always full with backpacks, artwork, balls, frisbees, lunch boxes, my purse etc. Many, many times have I also carried playdates on my bike and of course, I also use the Radish for shopping. No more parking the car in the limited parking lots, no more emissions, just fresh air and a little bit of exercise bringing home the four big shopping bags. I have to say the fabulous kickstand helps loading/ unloading the bike immensely.All in all a great way to get around town without using the car! And, our bike is a really old version of an Xtracycle Cargo Bike. I only have 8 gears, no enhanced brakes and two regular sized wheels. 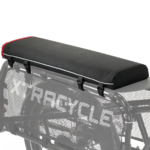 I can only imagine how much easier and more comfortable it would be with a new Xtracycle! I first installed my FreeRadical on my Trek 6500 back in 2005. It’s almost the only thing I haven’t changed about the bike in that time. It just works. Having the ability to put as many groceries as I could conceivably want onto my bike with very little hassle pays for this thing every single week in my opinion. No it didn’t really but it has certainly removed the #1 excuse I had for not commuting/riding my bike around town – having too many things to carry.I live in Seattle and the ‘norm’ is to ride with a large waterproof backpack… which means that no matter what the weather, I’d get to my destination with a sweat-soaked back. The other ‘cutsie’ alternative is the dutch bikes, which do not allow the same aggressive urban riding style that I prefer – jumping curbs, rallying ally’s and dodging traffic.This simple add-on also kept my 20 year old mtn bike from becoming obsolete. I’ve spent so many hours behind the bars on this bike that I was reluctant to have it sitting unused, taking up space and gathering dust in my garage.I plan on getting another 20 years out of this bike now… Whoop Whoop! I’ve been riding my Xtracycle FreeRadical daily for over 9 years now and still believe it’s the best bike purchase I’ve made in my 47 years. The possibilities are limitless:> I carry the kids to and from school daily along with their bags, sporting gear and musical instruments;> Weekly I visit the grocery store to purchase a week’s worth of groceries for a family of 4, it’s a massive load! ;> Family camping trips are common, I can load 2 kids and all the gear for an overnight trip;> On day trips the kids can ride their bikes until they are tired then I load them on the Xtracycle and tow their bikes with the front wheel cradled in the pannier;> Christmas tree and 1 child, the 7′ tree was stretched way back and my daughter had to stradle it but it worked;> I tow my other bikes to the shop for repairs;> There really is no limit.I’ve also customized the deck to accept a cut-off Burley Piccolo rack so one kid can ride the tag-along and contribute power; which also works good when touring for more packing space.For ultimate convenience, I’ve installed PitLocks on the front and rear hubs so securing at the store front only requires a U-lock to the frame, so much faster and easier! I ride with Schwalbe Marathon Plus tires and have only had one flat in 6 years (on my second set).I love my Xtracycle! If I had the connections to do this, I’d nominate this rack for inclusion in the MOMA design collection. The Xtracycle Free Radical is an amazing design: lightweight, yet strong and durable, and adaptable to multiple purposes. I use it for toting heavy boxes of paper for my printing business, and I can’t count the number of car trips I’ve saved doing grocery shopping on it. I can pick up friends and give them a ride someplace, and they talk about it for years after.I love that when the rack isn’t loaded you hardly notice it’s there. The lengthened wheelbase is very easy to get used to and feels very normal. I can still pick my bike up and carry it up or down the stairs (important to me, as I live in a house without a garage, and my work is on the second floor). But when I need to load something on, the bike is ready to go- no need to plan ahead for the gear.I also went for the KickBack stand, which makes parking a breeze. Many businesses I frequent are comfortable with me bringing the bicycle inside because I don’t have to lean it on their fixtures, furniture or product.I’ve had my FreeRadical for years now and it has earned its value back many times over. In my town of 17,000, when I got my FreeRadical, it made effectively car-free in town. The ability to get two 40 lb. bags of dogfood, or carry a 20 ft. extension ladder to a friend’s house, or just to bring home a watermelon from the Farmers’ Market all came with that wonderful conversion. And I loved how I learned about my bike by doing it myself. No offense to the prebuilt, but don’t be afraid to convert a bike. My old FreeRadical is awesome, but the new model just sounds amazing! I love my xtracycle. I have used it with my now 8 year old kiddo with a full load of groceries. I now have the hooptie to add her 4 year old brother to the grocery run equation. There is nothing better than self powering our family on our errands and I thank xtracycle for every opportuntity we have for this. I’ve been riding long-tail cargo bikes for the past 9 years. it used to really turn heads, but these days it seems like everybody has one. with good reason! I hauled my wife and all our gear all over burningman, I set up a custom vending display to promote my products, and when my daughter was born I strapped a graco infant car-seat mount to it. when she fell asleep I could just unclip the seat and carry it with me. EPIC! and thanks to the sturdy center-stand I didn’t have to worry abou the bike falling over while I clicked the seat in place. I’ve loaded it with almost 500lbs of cargo (postcards from greener printers 🙂 and regularly load small loads of lumber, pipe and other misc. hardware. it’s also enabled me to get some great street-scores! I found a nice dresser and strapped it on. picked up a set of 3 office chairs at once. and there was the used 50-gallon vinegar drum I grabbed for rain-water collection (it was empty ;)Xtracycle’s modular system of decks and poles and textiles enable you to create exactly the right setup for you, and adapt it as your needs change! and their saddle bags really are the BEST!now I throw my 4 year old’s bike on the back to pick her up from school so she can ride home with me 🙂 life on the Xtracycle is good! Altering a bike we had already was just the ticket for our budget. With the Free Radical, I’ve been able to haul anything I could dream up: lumber, friends, pet food, and in its most frequent responsibility as the grocery getter, four big bags of food and a six-pack. While we still own a car, I credit our XtraCycle with letting us go weeks on end without turning the ignition. Next step is to outfit it to haul our toddler! I was interested in the FreeRadical as soon as it hit the market, and in 2011, we made the plunge. 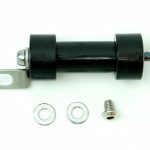 I converted a 700c Hybrid bicycle and needed the brake adapter, which worked perfectly. The bike has been through several configurations — the first did not use any V-Racks, but rather served to stretch out the bike while I used a regular child seat on its own regular bike rack. The added stability really opened up the distances and destinations that I felt safe taking our 3 year old on! 14 mile round trips and regular 7 mile daycare pickups became a breeze.Later, we added the V-Racks, bags, and deck to the rig. The bike became a 2-kid cruiser to take down to our local beach side boardwalk. Shopping and recycling were added to the mix, too. No more trailer! Putting the rig together was a quality weekend project, the kind of project where all the parts are there, well made, and fit just right.Now, with the boys on their own bikes, the Xtra is still my go-to short run bike. Even with “nicer” road bike options. I ride it up to my evening doctoral classes with books, laptop, and whatever change of clothes the weather dictates.And nothing beats a longtail for conversation starting. And for you singles out there — pulling up to a bar on a bike that can carry a passenger is a great way to be ready for a romantic ride… you never know!The touring-bike ride and steady nature of such a long wheelbase ride is very relaxing, and with smooth tires, and when riding without a heavy load, the bike feels quick in traffic and out on the open road.What’s cool is that we got the bike to haul kids around, and in another 6 or 7 years, it might even be going to college with one of them. I put my edge runner on a Bike Friday, Family Tandem Traveller.I can carry myself, 3 kids, and their backpacks. I even have one of the kids to help pedal. I got mine used, and as a mechanic was able to easily install mine. It rides like a dream attached to my aluminum Trek X1 Alpha series. There isn’t much to say other then…. GET ON ONE! I came by my dream bike over about five years, but because I’ve been a working artist, it was important to make it happen in chunks I could afford.So the original bike is a Raleigh ‘Sport Comfort’ something-or-other built around 2001. I added an electric motor, and then a Zzipper fairing, when I was commuting 12 miles to school to my girlfriend’s house and back…I had been wanting a FreeRadical for years, and added it to the bike after we got married and I started living on her farm and I wanted to carry heavier loads. The Xtracycle + my WideLoaders or + the Sidecar that I got made my bike incredibly versatile; with them I could carry anything except a lawnmower or a truckload of dirt. Without them, the fairing and motor made my cargo bike super fast, and I got a great workout and could cruise at 25 mph with a full load of groceries. In 2013-14 I was teaching theater in little towns all around where I live, and commuting 30-40 miles a day to one tiny elementary school after another. Tried not to drive a lot, and didn’t need to. I had built a great bike.Then, this winter I was diagnosed with a kind of bone tumor and had to get my right leg amputated above the knee… but by the point the operation happened, I had already figured out how to load crutches onto the Xtracycle deck. I also found I can ride the bike one-legged — I just rely on the electric motor to get me going, and then once my good leg is in the toe clip I can bike more or less normally. Since at the time I’m writing this review the surgery is fairly recent and there’s a lot of healing going on, I am driving for now as primary transportation. But I’m soon to get fitted with a prosthetic leg, and I can’t wait to ride again as my main way of getting around. I bought mine in 07,and for Brooklyn N.Y. it was the best investment for a tool I’ve ever made.I still use it daily and unless I have to go more than 25-35 miles I don’t use a car.Great to have a front shock on the hybrid I’m using.I hauled tons of boxes on the deck and used a piece of aluminum electrical pipe to make a box platform on the sides.This device has served me so well in 8 years that I saved hundreds in gas and tolls and delivery fees. The Free Radical kit allowed for family cycling and cargo hauling that could never have been done otherwise. I miss the extra 80 pounds of two little kids behind me, but now that they are able to ride solo, dad carries the camping gear. So many people we have encounteredwanted to stay and chat about the extracycle. Great long term investment! There is a tendency for some to view the Xtracycle FreeRadical as simply an aftermarket kit that should be delegated to antiquated “donor bikes”. Many consider the FreeRadical to be a “primer” cargo bike for use during a trial season before stepping up to a serious “dedicated long-tail framed bicycle”. Concerns over frame stiffness and weight issues abound along with the fear that a bolt may become loose and cause injury to the rider. I’m here to assure you that this is all a load of bunk written by prima donna “bike experts”, many who may have never swung a leg over a cargo bike. To call a FreeRadical kit inferior to a dedicated long-tail frame is kin to claiming that an integrated rear rack on a bike is somehow superior to a bolt-on rack. It is this ability to bolt-on the extension that makes the Xtracycle valuable in the real world. 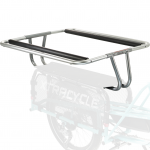 I have owned two dedicated long-tail cargo bikes and an Xtracycle/LHT and can state that not only is there very little difference in the ride quality, the Xtracycle has the advantage of disassembly for shipping. As for the “loose bolt” argument; That’s what a wrench was made for.I once had the misfortune of having to bus a Sun Atlas Cargo long-tail a few hundred miles at a cost of almost $300. If this bike had been just a few inches shorter or if I would have had the ability to disassemble it, it would have shipped for free as part of my regular baggage. This incident had a major impact on my future choices in bicycles. On my next bike build I opted for a Surly Trucker Deluxe frame with S&S couplers so I would never have this same problem again. This bike saved me thousands of dollars in airline baggage fees over the last two years and I have never regretted paying the extra few hundred bucks for a frame with couplers. However, I did miss touring with the convenience of a long-tail so I added a trailer to my setup. This was not the same as a cargo bike. Sure it gave me more packing space but it was much longer and harder to maneuver and I could definitely feel the weight on steep hills. So I once again returned to the drawing board to come up with what I envisioned as the perfect long distance touring bike. At first I thought that adding S&S couplers to a Big Dummy frame might do the trick but even after the bike was broken in two it still would only be able to fit into a standard bicycle box. Adding additional couplers to the chainstays and seatstays would not only be very costly, it would also compromise the strength of the frame. What was needed was a chromoly steel extension with reinforced bracing that was easy to bolt on. It had to be lighter weight than a trailer but allow for a similar payload. Then it hit me, this item was already in production right under my nose….. the Xtracycle FreeRadical.I ordered the FreeRadical kit from BikeTrailerShop.com and a few days later I held the answer to the problem in my hands for less money than an S&S retrofit would cost.The finished bike rides like my old touring Long Haul Trucker but with a bit more suspension on rutted roads thanks to the Schwalbe Fat Frank 2.35″ tires. It also tracks straighter due to the longer wheel base.A novice bike mechanic can disassemble this bicycle and pack it into two small airline checked-baggage sized boxes. I use a 28″x26″x8″ box and a 46″x7″x9″ box; both within the 62″ total L+H+W requirements and have extra space for panniers. I pack my tent and sleeping bag in a carry-on duffle. When arriving at the destination, it takes me about two hours to reassemble this bike.In summary, I view the bolt-on aspect of the Xtracycle FreeRadical as a positive rather than a negative feature. The new Leap version of the FreeRadical promises to address the problem of frame stiffness and wheel size selection and I cannot wait for a chance to test one of these units in a 29″. I give the original FreeRadical a five star rating. I bought my first Xtracycle FreeRadical on Sept. 12, 2001. It arrived a few days later and I built it up into my new-to-me used Bridgestone XO-3, which was a pretty nice bike by itself. The Xtracycle transformed it into a capable, steady cargo carrier, and it became my go-to bike. Later I bought a child seat for my little kid (who was born about 9 months after I got the Xtracycle – go figure!) and we had a great time going places together by bike. When he outgrew the seat I traded it to another Xtracyclist for studded tires he no longer needed. And when I put studded tires on for the Boston winter, the value of the Xtracycle became even clearer. The FreeRadical allowed me to bring along things that I would have left behind before (like rain gear and gloves, or extra clean dry layers), and also I could bring home groceries, or beer, on my way home from work. This just wasn’t possible with my previous commuting rig.I’ve since sold the XO-3 longbike to a friend who still uses it in NYC (hi Anna!) and now ride a Big Dummy (purchased from Xtracycle in 2008). Still the longbike is my go-to, and the Xtracycle FreeLoaders are better than ever. I love being able to carry whatever I want. I have made 14 mile bike rides to the farmers market and back with over 3 cases of fruit. I can carry watermelons with ease I have filled up the bags to the max with several melon on more than a few occasions and headed off on impromptu camping rides with the ease of just at ffing all I need in the back of this bike truck. I was able to put it on a touring bike and can get going up to 25 on the flat. I don’t think the typical fat tire pre made ones can boast this without electronic assistance. I have even carried it on a rear car rack. I rode a Radish from 2008-2013 and loved it. I was able to load it up to commute to work everyday and run all my daily and weekend errands with it. From 2009-2011 I did not have a car, and did not need one because my Radish did it all! It was a sturdy, easy to ride, beaut of a bike, and I was able to re-sell it quickly for a great price when I had to move away. We bought two years ago, and it’s perfect for our family. Gets us around town, cargo panniers give plenty of space for groceries & etc, & hooptie allows us to put the kids (age 4&1 when we bought, now 6&3) on back when they get tired of riding / scoot-biking around. I bolted a free rad onto an old Dirt Research mountain bike six years ago and the transformation was wonderful. What was an old frame hanging around the garage became a do-everything bike my wife and I used with our kids, grocery shopping and all the other ways in which you could use a bike in a city with no parking – San Francisco. I use by Free Radical to cart two to three kids around at the same time. I spent forever researching options for my kids and decided against a trailer. It is so awesome taking them in rides. I first had it on my Litespeed Taccoa so it did double duty with the kids and as my only mountain bike. It made mountain biking East Tennessee single track a fun new experience and it never caused any issues. I have hauled gear and used it for commuting. There is nothing the Free Radical couldn’t handle and make life easier. after about 2 years on my cyclocross bike my wife said that she deserved her turn so she had me move it over to her hybrid. the free Radical is so versatile i was able to move it over in no time. my only regret is that I don’t have 2. I got my first FreeRad about 7 years ago and it instantly became my “go to” bike. I use it for everything from taking neighbor kids for rides (up to three of them), to getting groceries, to hauling lumber or home brewing supplies. It’s never let me down! We even raced it in the first ever Riverwest24 bike race. It started with me trying to live car free as much as possible. Tied a couple of monster buckets on either side of my rack for shopping trips, and started hunting online for a bike trailer design that I could hopefully put together without a welder. Then I found xtracycle.com, and thought “Wow. Why didn’t I think of that?” That was about seven years ago, and now I can’t imagine how I would function without my longtail — shopping bags on the handlebars? Calling up friends with cars whenever I need to move something bigger than a bread box? Spending half an hour waiting for a 45 minute bus ride that I could have walked in 50? Shoot me now. I put an Xtracycle Free Radical on a tandem, and now I have a big rig that carries me, a stoker kid, and two ballast kids. We love it! I use mine every day to transport my standup paddleboard’s to the water. I like them so much that I’ve purchased two in the last eight years and I still have them both. In 2007, I installed a FreeRadical (complete with SnapDeck, WideLoader and cargo bags) on my 18-year-old Bridgestone. Over the years, it has hauled over 200 loads of groceries, pairs of straw bales, a 4-person porch swing, loads of lumber too long to fit in the car, up to five 12-gallon coolers full of fresh produce to sell at market, and literally tons of other stuff. I even used it to find and haul salt when snows shut down our roads to car traffic. People assume I’m “into biking.” and ask how many long treks I’ve been on. Answer: zero. It’s just transportation to me. I like getting from point A to B with 50x less energy than a hybrid car, or 150x less than an SUV. Plus, it saves me a gym membership. And unlike the bike itself, the FreeRadical has never required maintenance. While there has been a car in the family since I was married, I’ve been personally car free for 15 years. Before I got my first xtracycle, it always found it to be something of a challenge, but the long bike changed everything.Now, I can run unexpected errands, give a friend a lift, pick the kid up from daycare on short notice, pick up stuff from the hardware store, and do all the other stuff most people rely on a personal auto for in an urban environment.While I enjoy the greater sturdiness of a fixed frame for large loads, the convenience of the FreeRadical in trying out different ideas and configurations as well as the relative lightness and great suitability for almost all my daily needs has been wonderful. The current configuration I’m playing with is a front wheel drive recumbent which is awesome. If I can find a decent base frame for it, the next thing I’d like to try is going with underseat steering and a 20″ rear tire. I purchased my FreeRadical in the spring of 2007, and have loved it for many thousands of miles since then. I use it mostly for commuting and errands, but have also done many camping trips and just rides for fun. I originally put it on an old aluminum Diamondback mountain bike frame. Later, I moved it to a steel frame, then a titanium frame, then a steel hybrid frame with 700C wheels, but eventually back to the trusty aluminum Diamondback–that setup seemed to work and feel the best. It handles just like a regular bike, and carries the weight of cargo with ease. I always get stares and questions, and people driving cars seem to give me more respect and space compared to when I’m on a regular bike, maybe because it looks like I’m doing something more useful? The FreeRadical changes what is possible with a bicycle. Life changing!! !…Not just a mere saying. The ability to grocery shop, etc via bike really allows one to leave excuses and a sedentary lifestyle behind. Plus, the savings by not purchasing petrol goes without saying! The FreeRadical kit turned my Stumpjumper from 93″ into a veritable long hauler. I freight everything from kids to Christmas trees on it, rendering my car obsolete. I have always needed to carry more stuff on my bicycle. Groceries, other bikes and people, etc. With the free radical I can do all of that without needing to purchase an entire bicycle. My children grew up on our family cargo bicycle. Thanks to Ross and the team, our family dry docked the mini-van and lived a much more simple and inexpensive life. We have carried surfboards, camping gear, and large hauls of groceries. As a faculty member at a busy university, I now use my cargo bike to haul books and supplies to lecture. I have even hauled the more intrepid members of my teaching team. On a perfect day, I can stop to surf the point on my way to work thanks to Xtracycle. Keep up the good work! For twenty years I was the Director of Facilities at a Great Camp in the Adirondacks. From one end of Camp to the other was about a mile and there was a 2 mile drive way. We had pickup trucks, tractors, a 6×6 ATV and “The Stretch” – a Gary Fisher w/a Free Radical, Cargo Bars and bags. As many as 6 people were working around Camp in the summer and there were things needing to be done in many buildings.To carry laundry, to carry groceries, tools, light fixtures, a ladder, trash cans, lumber – people preferred to use The Stretch rather than firing up an engine! it was quiet, quick and unobtrusive. Guests loved that their towels or chilled wine bottles or mail was brought to their cabin by bicycle. They were delighted that their laundry, rubbish and compostables were hauled away by bicycle.Now that I’m retired and living in more hilly terrain, i’m saving up for a Sokemonkey for my Stretch that, in my opinion, will be the ideal setup for an Xtracycle! Where to begin? Bought my first frame in the mid 2000’s. Carried everything…my wife, lumber, sonitubes, recycling, everything. Hard to overload this thing it just manages to take it all. Finally broke the first one (stress fracture, surprised it lasted so long.) Discovered that I could cut the first frame in half, and pegged it into the replacement frame. Now I can carry sheet goods more easily.Pros of this thing – robust. inexpensive. amazingly modify-able for the DIY’er out there. 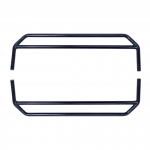 Connections with bike NEVER failed, or even loosened.Cautions – because you can carry SO much, the frame/bike you attach this to will be stressed heavily. I suggest steel, with beefy brakes. My first frame was cheap, and it folded up when I had a friend on the back and we crashed. Xtracycle frame undamaged. My friend undamaged as well :)Two years ago I electrified it and that was a good call. I can carry 150 lbs without much difficulty. A snapshot of some of our Xtracycle adventures…. I’ve had my free radical set up for about 5 years now. It’s carried kids, lumber, crock pots, car parts, ikea furniture, and most often guitars. I’ve used it for gigs in the city and it’s so nice not to have to mess with parking. It works so well I’ve even done tours around the midwest on it. Since bolting it on it’s been trouble free. Even though I love my road bike, it became too impractical and inconvenient for commuting across Los Angeles. And as my ancient car began to break down, driving began to feel like an increasingly ridiculous waste of personal and environmental resources.I did some research and decided a cargo bike with an electric assist was for me: although mostly I only ride six blocks to and from work, several times a week I ride sixteen miles to and from my boyfriend and his son. I’d stopped riding in the first place because it got to be too logistically complicated, and I didn’t have anywhere on my road bike to put even basic stuff-of-life (except on my back, and that resulted in too many aches and pains).I came across a listing for an Xtracycle Radish complete with Free Radical. Since I’m looking to carry things and not small people, the shape of the frame appealed to me too, compared with cargo bikes with big boxes in front. I took the Radish for a test ride as soon as possible, and I was sold pretty fast. The reviews I’d read were right–I didn’t notice the extra length or weight, it handled very smoothly. Sitting upright and having my feet freely sliding over the pedals were new sensations, but I liked being able to see everything around me so much more comfortably.While I waited for the assist to arrive and then be installed, I read more about Xtracycle and was very moved by a short documentary about the company on the Less Car More Go site. The ideas about social justice and mobility that motivated the original design were very exciting, and I felt proud to have chosen an alternative to my car that has such a strong reputation behind it.I haven’t driven my car six months. I added a light basket to the top of the deck, a bell, some reflectors on the bags, and a new saddle. But so far, so good! It’s fantastic to be able to store whatever I need to carry around–including 50-60 books at a go!–easily and quickly, to have a bike that’s pretty much ready for anything, anytime. I may not be able to convince all my neighbors to join the revolution, but they’re definitely more curious! For over seven years, my Xtracycle has allowed me to transport friends and family all around the city, especially those who don’t yet bike on their own. I’ve taken countless friends, my nephews and even my mom for bike rides. I’ve carried cargo to picnics and beach campfires. I’ve strapped large speakers for musical social bike rides. The Xtracycle is one of the best purchases I’ve ever made because it has enhanced how I experience San Francisco. I’m very happy with the Freeradical Kit I bought last summer. The assembly was not easy in technical terms, but I followed the instructions carefully and used the proper tools for the job, so at the end I had no issues in the whole process. Doing this I noticed how well designed the kit was. I used an old steel frame for the conversion and the tolerances matched well. The only issue I had was that I dented one of the bolts, probably by using a wrong sized wrench to do the last tightening.The first ride felt actually very cool. The center of gravity is very well thought, so the bike felt stable and easy to handle unloaded. After the first loaded trip, I had to re-tighten the bolts, and after that the bike has been riding almost flawlessly, with no squeaks unloaded or loaded.Once it is loaded, the riding experience becomes a little bit more challenging, depending on how unbalanced or balanced is the load. The first picture here attached is a week of groceries, although heavy, it is easy to balance and feels very natural to ride on. The second attached picture is the opposite example, where a whole bicycle was hauled using the one-side boat-carrier attachment. It took me a while to get the balancing right, and I rode slowly to my destination, but I could do it perfectly fine.I’m very happy with my cargo bike, not only gives flexibility to use the bike in situations where extra hauling power is needed (See the third picture, carrying a Grill), but it is also a fun bike to ride in harsher conditions, such as rain or snow. Best bike piece I’ve ever owned… was so sad when it got stolen. It made my life so easy. A car is not necessary when you have an xtracycle. This bike keeps me out of my SUV, which makes it my SUB. I use it for shopping (four full grocery bags plus extras), runs to the home store (lumber, paint, tools, garden supplies), and sometimes as a commuter. I used to take kids to school, but they got big enough to ride their own bikes.I have even converted it into the Boom-Bike — a rolling battery-powered speaker on wheels, which is great for block parties, group rides and pub-crawls. Love this thing, and it’s going strong after 8 years! Hello! Will this kit fit on a 17″ Cube Reaction Hybrid HPA Pro 400? Hey there, Dave! After looking at a picture of the Cube Reaction Hybrid HPA Pro 400, the rear drop out spacing is the first possible red flag I see. I would recommend you refer to all of the requirements listed in the Leap Compatibility Guide to see if your bike is a good match for a FreeRad Leap conversion. Let us know if there is anything else we can help with!